It’s been a tough year for the MENA region, with political and economic turmoil resulting in low growth and low consumer confidence. But with more local and global players now than ever before, the region is still showing serious potential. For marketers operating in MENA, budgets will undoubtedly be reevaluated in the new year, but that doesn’t mean there aren’t steps they can take which will ensure they make the most of their media spend. In particular, the seismic shift in content consumption habits towards mobile means marketers can make their lives easier and see great results from their squeezed budgets by focusing on the small screen. Here’s how. GroupM has forecast a growth in MEA adspends in 2018, while the MENA mobile market is predicted to grow to 399 million unique mobile subscribers by 2020. Our attention was once spread across TV and desktop, but now mobile steals it all. And it’s not just growing rapidly; it also offers fine targeting capabilities based on behaviour and location. Incredibly rich data sets can ensure campaigns are both effective and cost-efficient, and innovative marketing metrics like cost per visit (CPV) only charge marketers when a customer comes through the doors of a brick-and-mortar store. In short, it’s a device that reduces budget wastage while capturing the attention of the masses – so naturally it’s what marketers should be investing in. Mobile creatives are getting better in MENA, but creative agencies still need to think mobile-first when it comes to creatives in 2018. What’s more, they need to be producing great video tailored not just for YouTube but for everyone’s favourite pocket-sized device. And when they do, click-through rates will go through the roof. Marketers worried about brand safety and viewability have been demanding total transparency for some time now. They want to know that their ads are being seen but being seen in the right places and alongside appropriate content – and this is more difficult on mobile, particularly in-app. Marketers should demand third-party verification from their partners as standard, so they can understand intimately how consumers and prospects are interacting with their campaigns. This will make it easier to improve campaigns over time, by making every ad dollar work harder. Over the next 12 months, creative agencies and marketers in MENA must sit up and take notice of the impact creativity has on engagement. More engaging creatives that function seamlessly on mobile ultimately lead to better campaign results – something everyone wants. Understanding audiences and where to reach them is a marketer’s number one priority before their first dollar is spent, and with more and richer data, targeting capabilities naturally improve. So, while it’s an absolute priority to protect consumer data, it is also beneficial to be transparent with brands about ROI and footfall data. Sharing this kind of information improves synergies between brands and vendors, and maximises campaign results. But to do that, it needs to go both ways. Brands need to be as transparent and open about their analytics and data sources, like loyalty card data and Google analytics, as vendors are about ROI. Currently, this is the only missing element in end-to-end transparency, something players on both sides should be striving for. In 2018, promoting the sharing of these kinds of data will help brands and their chosen partners build campaigns on more data sources and benefit from a holistic view of what’s working versus what’s not. 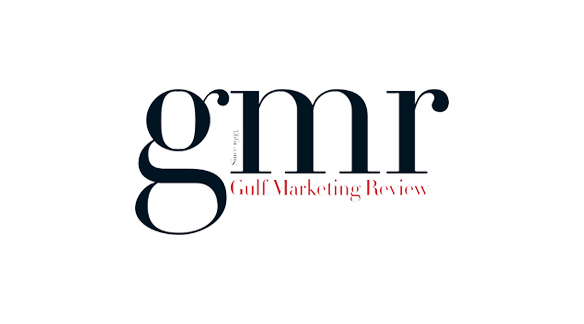 In this difficult climate, marketers are naturally on the hunt for greater ROI. They want effective targeting and not one wasted ad dollar. They want better results on smaller budgets. Mobile might just be the answer to their problems: a device that is experiencing exponential growth, and that performs well despite budget cuts by allowing for sophisticated targeting based on audience behaviour and location. With engaging formats and stunning creatives possible, the small screen delivers, as shown by the international players entering the MENA marketplace. Despite turbulence, the region still is very attractive to investors, so marketers should not lose heart. They must instead tackle the new year head-on by tightening up their campaigns and striving even harder for cost-efficiency.